Hello friends and Fortune readers. 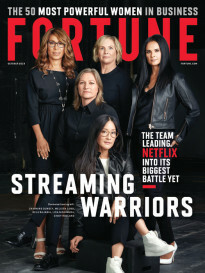 Today’s must-read story is from Fortune‘s Jennifer Reingold and it is a profile of Angela Ahrendts, the former Burberry CEO who joined Apple (AAPL) two years ago to run the tech giant’s retail and online operations. Ahrendts (No. 16 on Fortune‘s latest Most Powerful Women list) discusses her move to Apple and what she’s accomplished in her new job so far. Investors pulled another $19 billion from equity funds over the past week as they sought safety in government bond funds, which have enjoyed the longest run of inflows in four years, Bank of America/Merrill Lynch said on Friday. The nation’s largest supermarket operator reports results from its latest fiscal quarter today. Kroger’s (KR) second-quarter profit is expected to outpace Wall Street’s expectations after the company benefitted from lower prices for produce as well as dairy and meat products in that period. Kroger cited lower food prices when it raised its full year sales growth forecast earlier this summer. The U.S. Labor Department will report on producer price index (PPI) for the month of August. The index, which measures changes in the prices businesses receive for their goods and services, is expected to have dropped 0.1% last month after a 0.2% uptick in July. The PPI fell nearly 1% in the year leading up to August. Meanwhile, the University of Michigan will release an updated look at its consumer sentiment index, which is expected to have fallen to 91.2 thus far in September after coming in at 91.9 in August. The U.S. Open tennis tournament will crown its champions this weekend, handing out a record $42.3 million in total prize money to the winners. The big story of the tournament is Serena Williams’ quest to make history by becoming the first woman to win all four Grand Slam events in the same calendar year since Steffi Graf in 1988. Williams’ path to history hit a road bump on Thursday, when rain forced the rescheduling of her semi-final match for Friday morning. Today marks the 14th anniversary of the September 11, 2001 terrorist attacks in New York, Pennsylvania, and Washington, D.C. There are ceremonies planned to mark the anniversary around the nation and President Obama will mark the occasion at Ft. Meade in Maryland. 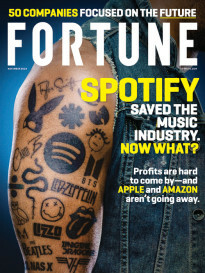 The October 8, 2001 issue of Fortune featured an essay as part of a special report on the attacks and their impact on the economy and American capitalism itself, which you can read here.